Where the clients all come from one industry, it’s virtually a must for the boss of andres logistics to pay a visit to the trade fair. That is why the Andres trade fair calendar always takes in every aspect of assembly, motor and packaging technology. 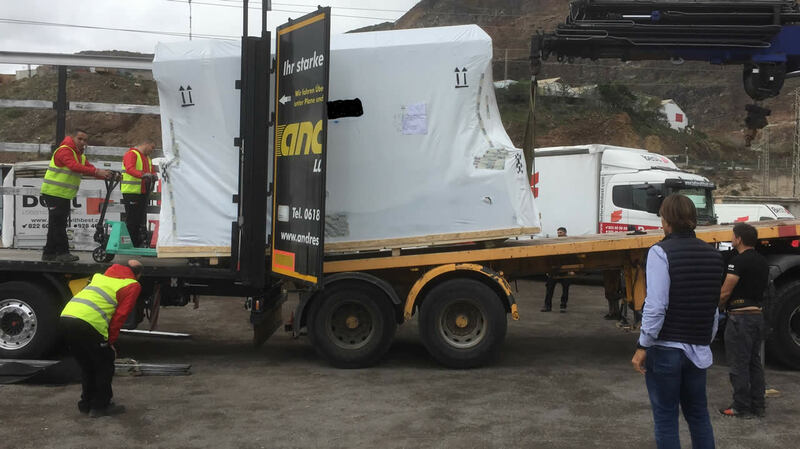 Because the suppliers represented there have to deal with changing time and route problems every day, the subject of “reliable and cost-saving logistics” is an essential part of their daily working life. Speaking directly with Patrick Andres, leads can find out straight away whether it is worthwhile transferring their own direct transport – and, of course, one temporary storage order or the other – to this experienced logistician. Once the framework conditions are in place, instant price information without any additional costs is one of the arguments that differentiates the medium-sized company from all of the industry’s big names. 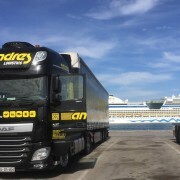 Each further step of cooperation with Andres proves: logistics services can be provided at reasonable prices quickly, transparently and with a largely paperless process. More and more frequently, truck drivers’ observation of rest periods is turning into a hunt for places to rest. Space at motorway service areas is getting tighter and tighter. 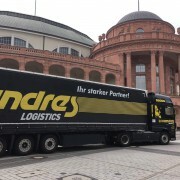 Start-ups who are considering working with service area operators to offer online booking of truck parking spaces should find ways to help German medium-sized companies out of this dilemma. There’s potentially a big market for those who come up with good ideas. It’s certainly possibly to grow into the logistics industry. The best way to do so is to train as a forwarding and logistics services manager. That’s what Tim Schneider is doing. 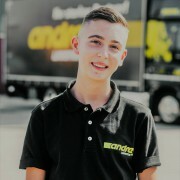 As a trainee, right from the start his duties at andres logistics have been familiarising him with the top performance that is constantly being demanded of transport service providers in daily business. For Tim, the high level of process automation and networking is motivating him to think about his own paperwork mountain. If so much can already be dealt with online, the electronic office in Hanau North can’t be too far away. That will make the expert who has a feel for what the customer really needs – and responds capably – all the more important. Toll = tax in disguise! Year in, year out the Berlin coalition government grandiosely declares that it’s not raising taxes. At the same time, from the beginning of 2019 low-emission Euro-VI HGVs will have to put up with a 40 per cent increase in toll charges. If the toll were to make a direct contribution to better roads – in other words if it were used properly – this charge would be understandable. Like this, however, where the revenue goes to the federal government for general use, we need to take a closer look at it. All of this is taking place in a transport market that has been overheating for some time. That is why the added costs are soon to be expressed in higher end prices for carriers. 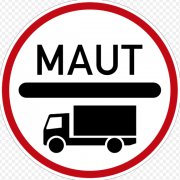 However, because their costs are also calculated down to the last cent, ultimately it will be the hauliers and thus the drivers who foot the bill. Those who see this as a redistribution from bottom to top are probably correct. The best service calls for state-of-the-art technology. 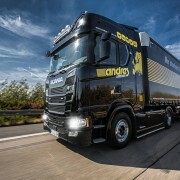 Now, with its new Scania S 500, andres logistics has a premium semi-trailer. Everything is right here: surprisingly low fuel consumption (100 km to 24 litres) thanks to the top technical performance of the power transmission and braking system, a quantum leap in terms of safety thanks to excellent visibility conditions combined with high-beam headlamps for best light performance, great comfort in the driver’s spacious cabin, and robust workmanship. It isn’t only the drivers who are happy: in addition to the instantly noticeable excellent driving experience, the running costs are helping to keep prices stable for our customers. 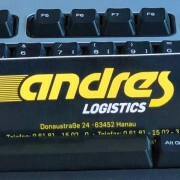 Ultimate satisfaction at andres logistics is a matter of principle, not a one-off goodwill or bonus offer. 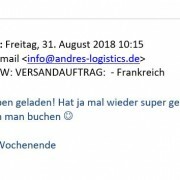 This is reflected in the plethora of feedback received from customers stating that andres “saved the freight”. Endeavouring collection “today” is as much part and parcel of our service as is competitive pricing or, in an emergency, charging a fair price for a special offer – provided the service is impeccable. “Highly operational”, “top cooperation” or “fantastic work” is in each case much appreciated praise for the andres team. Manager and team always benchmark themselves against successful performance, and that basically for the past 50 years. Founded in 1969 as Spedition Andres, our history compels us to keep working tirelessly to maintain and live up to our good reputation. We love the trade fair business. Trade fairs are a special case for specialists! Being there punctually with his rolling good on the spot, means in a big mess either too late or too early to come. The bar is set to „hourly“. To show entry passes and to control passage heights are one thing. One hundred percent dependable time management the other. What if, in principle, all delivery and construction vehicles at X must be off-road, but something is missing? These are the situations that we master „on top“. We know – the actual music at these temporary showrooms plays in dealing with the often stressed staff. Here you can take us at our word. 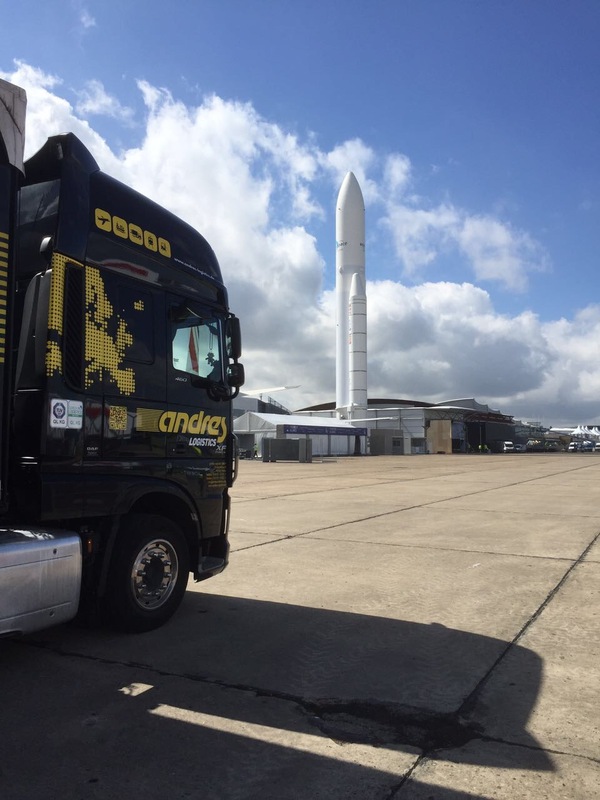 21Andres logistics‘ 2500 square metres of storage practically got around by word of mouth. Affiliated with a state-of-the-art logistics company, specialised in the direct trade with partial and full loads throughout Europe and all this in the direct vicinity of the A 45 and A 66 motorways, there are 11 customer by now that use the roofed and around-the-clock monitored storage area. Additional services such as the timely unpacking, repacking and packing of the goods contribute to everyone’s satisfaction. 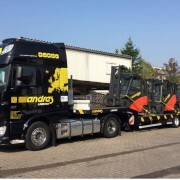 Since no storage area works without a forklift and since the forklift is not continuously in use, this equipment can also be rented – anyone who wants to make use of it contacts the director directly. We will gladly use the „TeleSemi“ for the delivery. 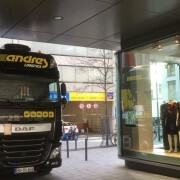 Today, only a few of the hundreds of customers of andres logistics have asked to see our offices on Hanauer Donaustrasse. Not that this is necessary. Where happy employees band together, the processes should mesh well in an environment that’s just right. Already at the forefront of technological advances, as confirmed by our full quality certificate, we have now overhauled our entire IT infrastructure – well ahead of schedule. Upgrading our computer systems to Windows 10 means that all e-mail accounts are now connected via Outlook 365, thereby ensuring even greater data security. As well as this, we installed a new Datev workstation in our accounts department. Upgrades at our headquarters enable us to move our dispatch scheduling operations to a larger area and, what is more, gives us an additional 110 sqm of office space at the new warehouse, for use as and when needed.